Used individually or hooked together in various combinations to form modular luggage systems up to 90 litres. Easy to fit with quick-release hooks attaching to web loops secured to the bike’s subframe. No additional bungees or rain covers required. 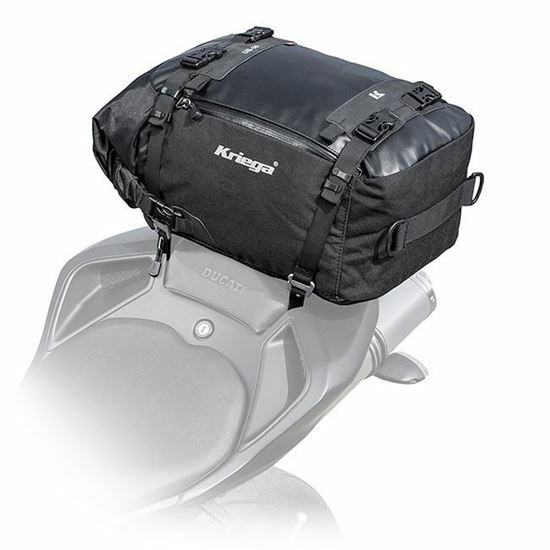 Convenient to carry off the bike with a removable shoulder strap.